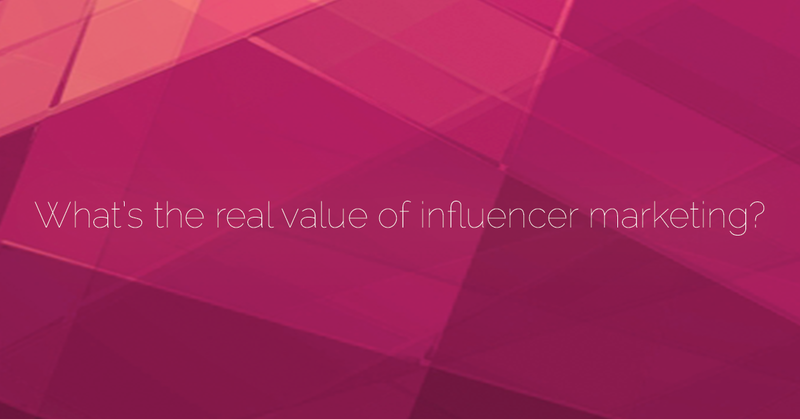 What’s the Real Value of Influencer Marketing? As new influencer marketing technologies continue to appear, as brands (small and large) shift marketing budgets, there’s still an ROI elephant in the online chat room. Yes, influencer marketing done right can push sales (by the millions), but outside the dollar signs, it’s important for brand and marketing managers to understand the real value of this “new” marketing/advertising medium. Our blog “5 Must Measure KPIs for an Influencer Marketing Campaign” garnered a lot of attention. We discussed ways to measure an influencer marketing campaigns by tracking key performance indicators such as data, links and numbers – which helps readers identify possible ROI of a campaign. In this blog, we’re going to break down value outside the numbers. Here are three long-term values of influencer marketing every brand should consider when planning a campaign. Creating unique consist content for any brand or business is a heavy lift. Need to launch a new product in-house via video? Call in the creative director, videographers, editors, production crew, talent, copywriters… the list could go on. After hours of shooting, a few days of editing, a week of back and forth on changes, voila you have a 30-second video showcasing one new product. Now, call in the advertising and marketing team to plan the content launch, back it with a few thousand dollars. Job well done! No really, job well done, because any brand marketer knows this is a rewarding task to check off the to-do list. However, working with a handful or 50 influencers (in this case, let’s say YouTube influencers), a business’s ability to create consist consumer friendly yet brand-aligned content increases by the 10-fold. For example, say an athletic wear company is launching a new awesome shoe. Instead of creating content in-house/with an agency, this brand partners with 10 YouTube creators to each development 1-minute videos about the new product. Yes, the brand marketing team will have the same type of creative upfront planning and a few negotiations to complete, however, by the end of the process the brand has ten times the content and zero production work to complete. More importantly, this influencer created content could come at a cheaper cost than the one in-house developed 30-second video. Brands typically spend hundreds of thousands of dollars a year on professional development content. Influencers make for more affordable consist brand content. Here is a creative example of influencer crafted content the ivvi team assisted with strategizing and executing. Recognize the brand? For many marketers, extending reach and brand awareness of products or services is an ongoing, ever-evolving process. Influencer marketing provides brands with an extra arm’s length of audience – think Stretch Armstrong. Let’s use Coca-Cola as an example. The brand’s main YouTube Channel has roughly 2.4 million subscribers, 1.49 billion video views, and over two thousand owned videos. These are significant numbers for a branded YouTube channel. However, in the last year, Coca-Cola has partnered with many YouTube influencers, including Unbox Therapy, Alex Wassabi, and Chris Rogers. All YouTubers that create for very different audiences that helped the brand extend its reach outside its own social/digital channels. Using the ivvi software, we were quickly able to track both the influencers and Coca-Cola’s channels to get a better understanding of estimated reach. 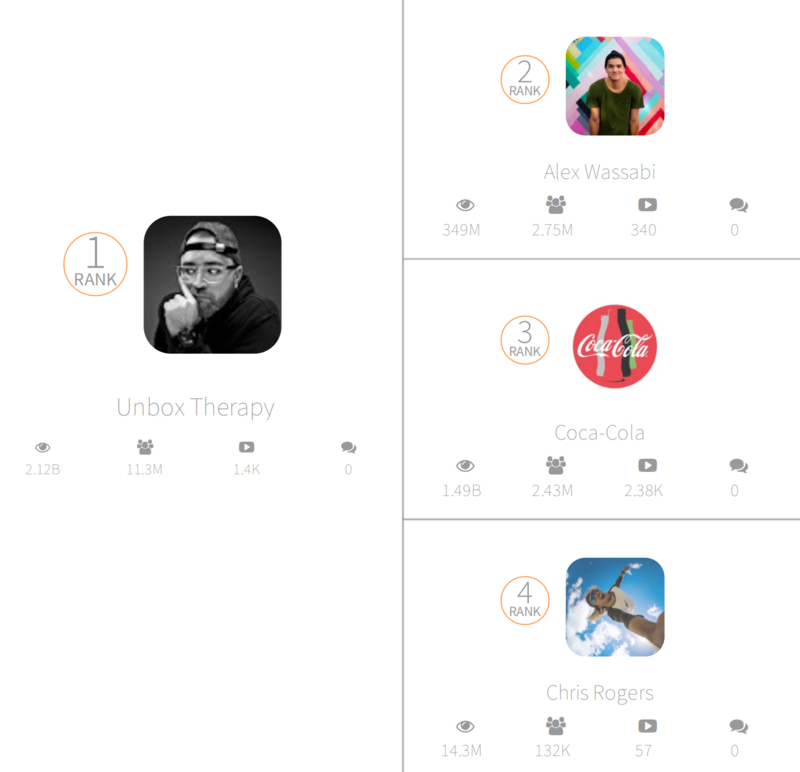 From this, we see that the partnerships Coca-Cola made with these YouTubers had the possibility of reaching over 14 million YouTube subscribers outside their owned audience. The value of a brand’s overall reach may not be easily quantifiable; however, the value of reach is undeniably known all marketers. This may be a no-brainer. But yes, a positive brand image holds deep value and is possibly the most valuable brand feature to potential and existing clients/customers. Brands are always working to create positive brand content that resonates with customers. A positive brand image builds credibility, trust and authority. And working with influencers allows a brand to be broadcasted authentically from a trusted third-party brand advocate. One of the most significant benefits of influencer partnerships is that they create content that is natural, real, forward, which their audience respects. 71.2 percent of influencers feel that their honesty and sense of humor is what keeps their audience engaged. The positive image a brand develops through influencer campaigns holds a value that can enhance customer sentiment and engagement across other marketing efforts such as social media, SEO, digital advertising, email marketing, etc. There are two ways of categorizing the real value of influencer marketing, by its tangible value or by its intangible value. The intangible benefits of influencer marketing outlined in this blog are those of long-term gain. Influencer marketing isn’t going anywhere, so it’s time for marketing teams to start thinking for long-term rather than for the quick return.